Certain podcasts really deserve to be made into enhanced podcasts. Making a podcast enhanced adds chapters to the podcast allowing you to see pictures and sometimes even click on links to take you to webpages relating to the topics you’re listening to. So to say thank you to the guys for putting me on this week’s episode of ANNCast, I made an enhanced version of last week’s episode with Brian Ruh. Get it below. p.p.s. 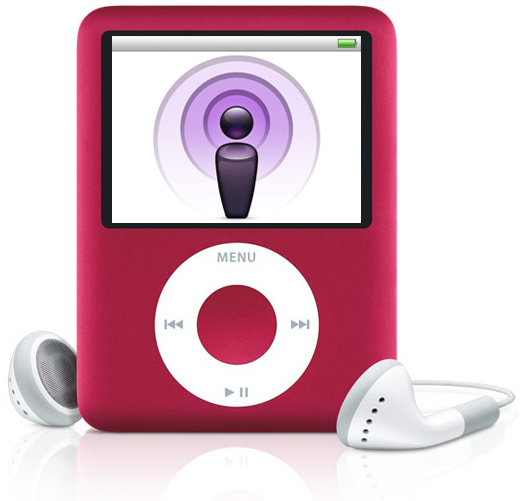 This enhanced podcast was made using the Apple Approach, (.mpeg 4 audio) which means it can only be played on ipods, ipads, iphones, quicktime, or itunes. But who really uses anything else? HI Chrollo. Do you mean that the file doesn’t stream when you click on it your browser? It should, if you have the latest version of quicktime installed. However, it takes a long time because it’s a very big file – about 40mbs. It’s best to rt-click,save as. Then watch it Quicktime, itunes, or on an ipod/iphone. 🙂 Let me know if that helps. I wanted to ask, do animators find it difficult to sync to mouth movements when doing production and do they keep that in mind for international markets? HI Kirielson. The Japanese animators that I’ve seen do it don’t really worry about syncing up the words. They simply want the mouth to be open during obvious moments like “o’s” and “a’s”, and pretty much all the vowels. However, I personally think there are some pretty basic tricks in After Effects that would make it much easier for J-animators…but then we get into the topic of getting animators to use the most state-of-the-art techniques, and that’s a whole nother story..lol. Ah okay, I’m currently trying to do research project that would get a program to help with mouth movement possibly by drawing it. I also wanted to ask, do the Japanese animators invest in creating pilots? Hi Kiriel. Great site at Mangabullet btw. Very cool. I wanted to leave a comment there but I think I have to become a member first right? About your question – before you start investing too much in your program, you really should check out some of the techniques in After Effects. Google search “lip-synching” and “After Effects” on Youtube or just google and I think there are a couple of how-to videos on it. They might provide some insight. About animators – the answer is no, not really. Lol. I think I mentioned in the podcasts, but usually anime is created as a joint project between the animation company, the tv company, the publisher of the original manga, and the toy company. Usually the animation company doesn’t put any money in up front. Thank you for pointing me towards the After Effects timing videos. It made my goal a lot clearer now and helped me see things in a different way. Also, it’s interesting that they would not invest in pilots to see if the market would accept the series. Normally, US companies ask people to make pilots and based upon the pilot’s taking, they now make the series.